+WebUpd8 recently posted about Insync 1.2 so I decided to update my +Linux Mint machine. I was quite impressed with HTML 5 interface and additional features. 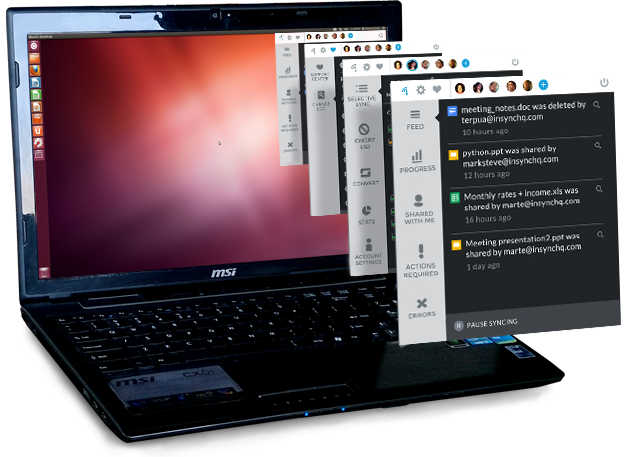 +Insync includes a long list of features including selective sync, support for external drives, syncing shared files, optional Google Doc conversion. I paid $10 for Insync some time back when it was in beta, with this update it now costs $20 which is still a fair price. Some of my favorite features are syncing shared files and optional Google Doc conversion. The optional Google Doc conversion is nice if you'd like to edit in Google Drive instead of Libre Office or Microsoft Office. I also love the ability to choose a shared folder to sync to my computer. With this recent update I like the feed and shared with me features. The feed gives a nice overview of changes to my files on Google Drive. The shared with me feature is really nice too. While I may not want to download / sync all files shared with me on Google Drive, it is nice to be able to use the Insync interface to see details about the shared folders and files.